These services are rendered under the supervision of domain experts who have been working in this domain for decades and are well versed with the different facets of our domain. 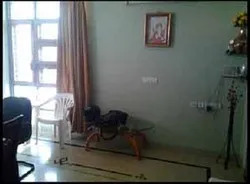 Our professionals try their level best to render these services as per the defined industrial standards. We have earned such a distinctive recognition owing to our sincere and dedicated efforts towards quality and customer satisfaction. Our technically proficient team of experts is highly qualified and understands the demands of the clients well to offer reliable solutions. They follow a professional and systematic approach that helps us to render these services in the shortest possible time frame. We have earned tremendous success under the dynamic leadership of our mentor, Mr. Sushil Kumar Sharma. A visionary business leader, he holds proficient knowledge and understanding in this domain. Under his dynamic management, we endeavor to reach heights of success. 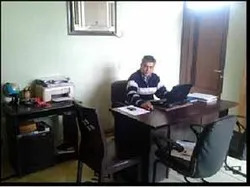 The affairs of our organization are managed by our mentor, Mr. Sushil Kumar Sharma, who is known in the industry for his exceptional management and administrative skills. 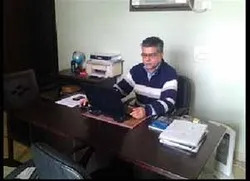 A highly experienced metallurgist, he holds rich industrial experience of more than 30 years in the segment of Mini Integrated Steel Plant Consultancy. Under his supervision, we have successfully executed scores of projects in our short journey. To meet our business objectives in an efficient manner, we have recruited experienced and qualified professionals who hold Masters/ Bachelors and Diploma in the disciple of Structural Engineering, Drafting and other related procedures. They are well versed with various technical aspects associated with our domain and try to offer the best services in the shortest possible time frame. To provide unmatched consultancy services of Mini Integrated Steel Plants, we have recruited the best talents in the organization. Our team of Qualified Engineers and allied workers is well versed with every aspect of providing consultancy services. With their vast experience, we provide highly beneficial services to the clients.